There is nothing more magical than putting a smile on a strangers face, especially when we end up being the stranger smiling. We, humans, tend to have problems with trusting our instincts, so much so that we miss out on incredible opportunities that would bring so much joy to our soul. We over analyze, over think and over investigate, and we never seem to overdue enough when it comes to being generous from our heart. We judge and criticize, compare and condemn, without giving a second thought to what it means to be a humble person. Our ego demands that we be obedient to our societal conditioning, if we are not aware of our egos selfishness we become over analytical left-brained robots which don’t know how to tap into humility and kindness. On my way home last evening I stopped at a traffic light turned red. On the concrete island that separated the two directions of the road stood a man with a sign. He looked sunburned, exhausted and shy, holding up his sign that read, ‘from BC hungry, homeless’. I didn’t think, I didn’t give my ego a chance to talk me out of what I naturally do when I see a human being in need, I reached into my wallet and pulled out what was in it, a ten dollar bill. I handed it to the man with the sign and said, ‘I hope you have a good evening’, the look on his face made me smile. It was if I had given him a million dollar bill, he thanked me and thanked me until the light turned green, and as I drove away he yelled thank you one more time, I threw my arm out the window and gave him a big wave. It didn’t take more than a minute for me to begin to cry. I was so grateful to have been able to make him feel whatever my ten dollar bill granted him inside of his soul. My only wish was that I had had more money inside my wallet, I would have given it all to him. Small acts of kindness are priceless gestures that ignite a feeling inside of us that nothing can replace. There is nothing more I love than to be given an opportunity to be compassionate. If I had let my ego in it would have talked me out of giving to the man with his sign, it would have chirped a different tune than what my intuition was telling me. 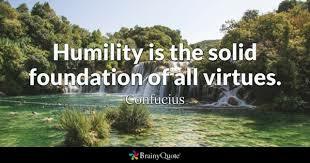 The Ego will only talk us out of acting on what we are naturally programmed to do, to be humble to mankind whenever we are granted a chance to help. So my message to you is this, ‘be aware of your ego when you see someone in need, bypass your egos selfishness and connect to your instincts, lend a helping hand in whatever way you can’. The smile on the other persons face if you do, will light up your heart and soul, and there is no greater feeling in the world.